On October 19th, Albany Montessori Magnet teacher Jannine Walton brought her 5th graders for their first in a series of visits to the Radix Center. 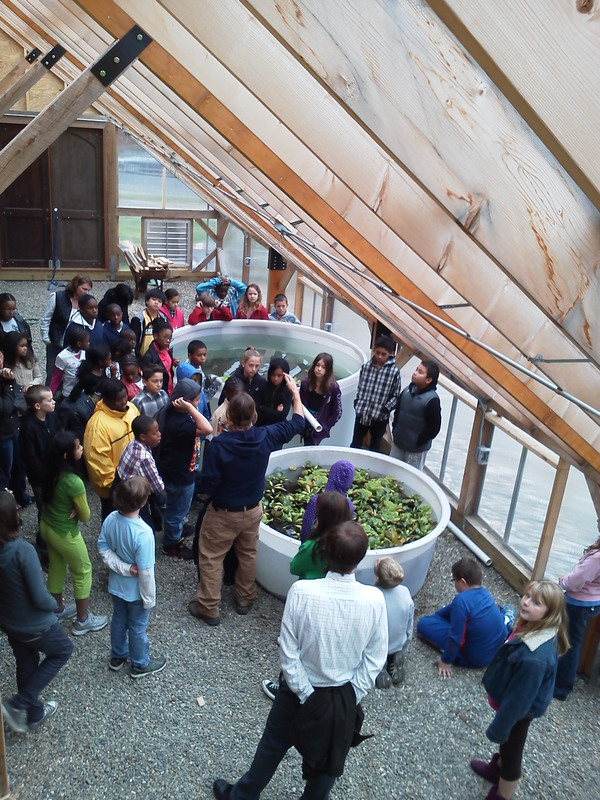 During this school year, the students will engage in hands-on projects and learn about environmental sustainability. This first visit was purposely early in our development, so the students can see the progress as the Radix Center greenhouse systems and gardens are built and grown. See the full story – aquaculture, solar greenhouse design, mushrooms, bees, WVO, – here!